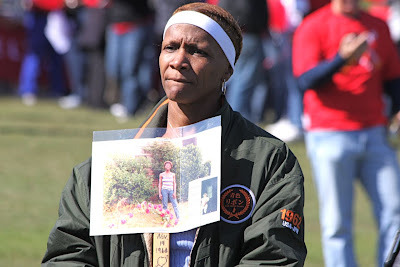 Reflections of a Grady Doctor: AIDS Walk 2011! Every year, I join my small group advisees at Atlanta's beautiful Piedmont Park for the annual AIDS Walk Atlanta and 5K Run. The AIDS Memorial Quilt is put on display and the energy is absolutely amazing. People hugging, laughing, crying, reflecting, and surviving. It's become our little tradition and a wonderful one at that. See, learning in medical school is about more than just the classroom. It should be about learning to be a good citizen, too. Don't you think? I am always so moved by the people out there. Every single one with their own story . . . . . .some tell them without words. . . .but you get every detail. I walk in honor of my patients at Grady Hospital. I also walk in honor of the sibling of one of my best friends and for the patients my friend and former Grady doctor, Kris R., is caring for in Uganda. Honestly? 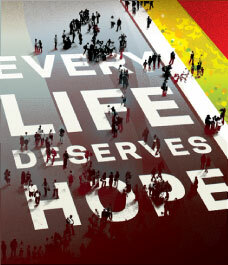 I'm walking for anybody and everybody who has ever been affected by HIV. Now that I think of it, I'm also walking for my amazing HIV/AIDS-specializing colleague-friends at Grady like David M. and Wendy A. who literally give more of themselves to their patients than I ever thought was possible. Yeah, man. I'm lacing up my Nikes and walking for them, too. I work at Grady Hospital. We see HIV and AIDS up close and personal every single day. And you know what? So much has changed since I was at the stage my students are. Back then HIV was pretty much an uncertain walk on the plank. But now? Man--it's uplifting to see how far things have come right before my very eyes. And that's because of research and things like the AIDS Walk. It's awesome to be outside feeling the fall air on my face and being reminded of all of these things. And even better to have the medical students by my side. To get a little more insight on how I really feel about this, check 2009 this post out. Give a little tax-deductible somethin'-somethin' on behalf of our team! Click here to give in the name of Team Manning if the spirit moves you--oh, and don't get it twisted--we'll take whatever we can get. You got ten on it? Decide to skip your latte's for a week and drop a cool $25? Or better yet-- are you grown and someone with racks-on-racks-on-racks who wants to give some totally obscene amount? (The definition of "obscene" depends fully upon your financial situation and your grown-ness.) Hey! It's all for a good cause and goes to AIDS care, education and research. Come on. . . .you know you want to do it. . . especially if you "got racks-on-racks-on-racks." Not your thing? No worries. We will also be accepting donations in the form of good vibes, fist bumps and well-wishes. That's all I got. Now, what you got? Now. Back to our regularly scheduled programming. . . .Happy Thursday. Hilarious how you made it very clear that family must contribute. Funny! I'm pledging -- I have an epilepsy walk around the corner, so there's no pressure. But wouldn't it be FANTASTIC if there were no seizures or AIDS? Go team manning!! I have yet to be apart of the AIDS walk in SF but I will gladly virtually cheer you all on in your 5K! Working with AIDS/HIV patients in Africa is the reason I am a nurse today. Could not think of a better cause to run for. Not quite sure how I came across your page but when I was a small kid, elementary aged, I swore I would grow up and be a nurse who worked with HIV/AIDS patients. (We had a family friend who did that and she inspired me at that young of an age) My life has taken a different path and I'm in the legal field but my lifelong dream is to go on a mission trip to Africa and work with children affected by HIV/AIDS. I commend you for all the work you do and the voice you give people affected by this illness.